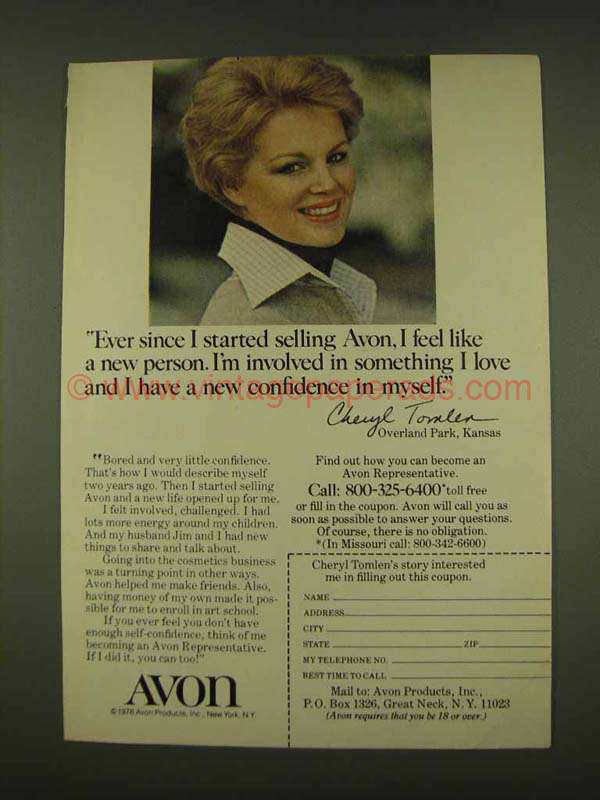 This is a 1976 ad for a Avon Products! The size of the ad is approximately 5x7.5inches. The caption for this ad is 'Ever since I started selling Avon, I feel like a new person. I'm involved in something I love and I have a new confidence in myself' The ad is in great condition. This vintage ad would look great framed and displayed! Add it to your collecction today!